Fast service and product as described. Would recommend Jack's for your parts needs. Parts fit perfectly! Lightning Fast shipping! Bought a parts kit, actually all parts worked as designed. Will buy from Jack’s again. worked good and arrived fast. Replacing clutch so replaced all the washers. Everytning fit perfectly and saw runs like new! 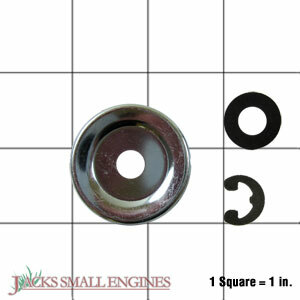 Ask us about the Poulan 530071945 Clutch Washer Kit. Please no repair questions. Your Q&A may be posted to Jackssmallengines.com to help other shoppers, like you, with their purchasing decisions. Thank you.